In a previous post, I mentioned that I use WinDirStat to view disk usage statistics on my PCs. This tool is invaluable when you are running low on disk space and you want to find out where all of your storage is being used. My team has been doing a lot to improve unit test coverage lately, and one of the tools we rely on is NCrunch. NCrunch provides real time feedback on your unit tests and coverage by running your tests in the background while you edit your code. This provides a near instantaneous view of which lines of code are covered and what tests are failing and which lines are causing them to fail. Check it out, it’s a great tool! Here’s an nice article about coding standards and the “Standards by Committee” anti-pattern. Is your hard drive getting full? Ever wonder where all that space is being used? Wonder no more! 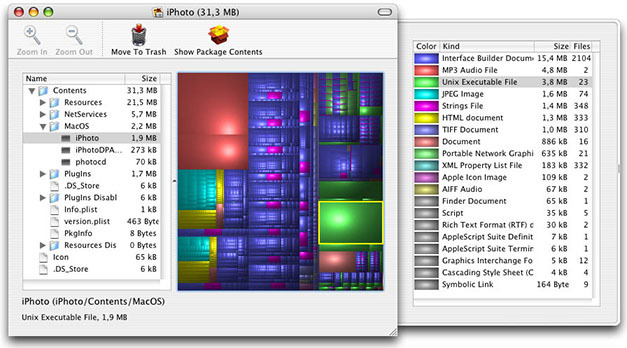 WinDirStat will show you exactly which folders contain the files that are taking up the most space on your drive. This is a great tool to use whenever you want to clean up your drive. It will display a sorted list of your folders and show you what percentage of space each one is using, then you can drill down into the folders to find the larger files and optionally delete them. Great program! Check it out! I spent a significant amount of time today tracking down a problem on one of our web applications. One of our customers complained about seeing the infamous This Page Contains Both Secure and Nonsecure Items warning every time they viewed any of the site’s pages with Internet Explorer. This error occurs when you are viewing a web site over an SSL (HTTPS) connection, but there are one or more nonsecure items on the page. The first is EricLaw’s excellent blog posting on the subject. The other is this checklist for ruling out the possible causes. I’ve been working with the FogBugz bug tracker for quite a while now and I noticed that they offer a Mercurial based online version control system named Kiln. I’ve been wanting to adopt one of these new-fangled distributed version control systems for some time now, so I decide to dive in and find out what all the fuss was about. I read Joel Spolsky‘s excellent Mercurial tutorial, Hg Init and then set about installing Mercurial clients on all of my various workstations. I ended up with TortoiseHG on my PC and MacHg on my Mac and so far I’m finding it to be a very flexible and easy to use system. If you’re using Subversion or some other old-school version control system you should definitely take a look at Mercurial or GIT and see what you’re missing out on!